Welcome to the first webinar in the ISSS P.R.N. Webinar series. Slowing growth, dwindling resources, changing environment, and increasing inequality. All these changes challenge corporations to get involved somehow. Resilient communities mean paying customers. Lost resilience undermines prosperity. At a time when people are losing confidence, this is the moment to redefine your mission, respond to real needs and create lasting relationships. CSR and sustainability are rapidly becoming a business continuation issue. 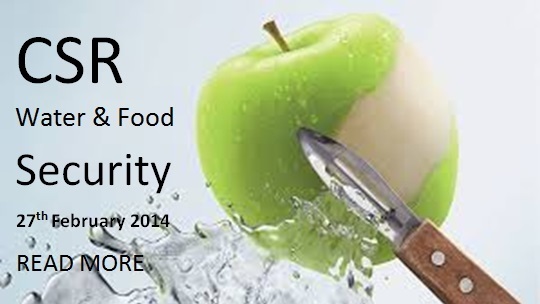 This webinar welcomes the Humanitarian Water and Food Award (WAF). Based in Copenhagen, WAF has spent five years promoting ground-breaking successes in global water and food security. It is uniquely placed to demonstrate how some businesses are redefining CSR as a dynamic of a resilient society.